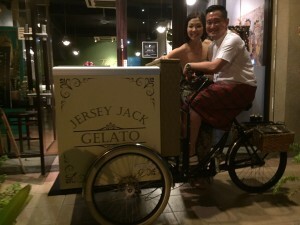 My introduction to Jersey Jack Gelato is anything but by accident. I attended a party last Christmas. Self invite actually. Lol. The guest served this beautiful gelato. My first taste of this gelato brought me back to Trevi Fontana in Rome where I had my first gelato some 12 years ago. That memory was so vivid and it brought a smile to my face. In January I was planning a dinner party at home for some new friends from the F&B industry. I was cracking my head what to serve for dessert and I admit I’m not very good at dessert making. But yet I want to impress. 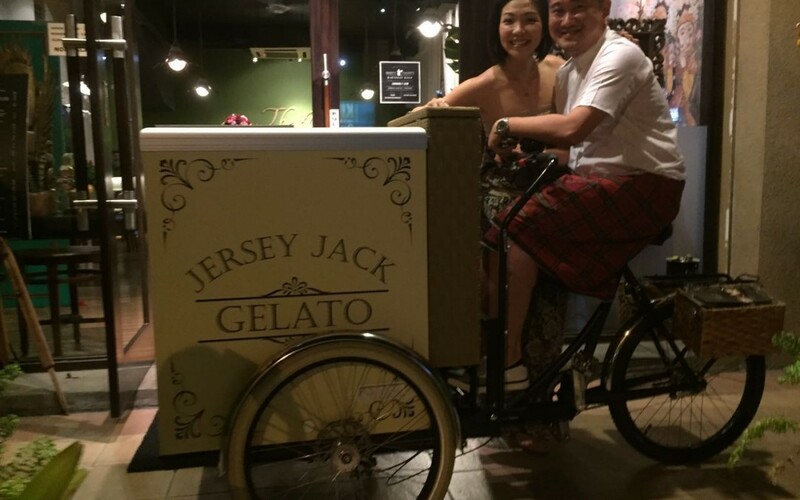 Naturally Jersey Jack Gelato came to mind. But at that point I just can’t recall who it’s from. I called up my old friend. Harassing him to ask the host of the party we attended. Minutes later my friend provided me with the contact details. Corresponding with Jersey Jake Gelato was not only prompt, but professional. Yet there’s this ease and passion about them. After selecting the flavours I was ready to send the driver to pick it up. To my surprise, they provide free delivery to my residence in PJ. Boy was I impress. The gelato was a success with my friends. They all asked for contact details at the end of the night. Then come March. My birthday. I was debating a lot with myself to throw a dinner party or not this year. It’s been a while since I last threw one. I was scouting around for the right restaurant, the right menu, but I just can’t find one that’s perfect and can host 40 pax and serve beautiful food. I eventually compromise with my OCD. Found a beautiful cozy Baliness restaurant which serve delicious food BUT I was not very keen with the dessert options. Back to the drawing board on what dessert to serve. Ultimately to impress my guests. It was no brainier I thought of Jersey Jake once again. Knowing they have 40 over flavours, I’m sure there will be a handful that will compliment the Baliness cuisine I’m serving. And they did not disappoint! I ordered the Chilli Ginger Lemon Grass, Assam Boi Apple Lime to name a few which goes so so well with what was served. It’s fresh, it’s unique, and come with a great punch of wow factor. Coming from service industry and F&B industry myself for the last 20 years. I always strive for passionate service. And good quality ingredients used in F&B. The next time you want to serve something to impress, you know who can make it work. Go for it. I support you!